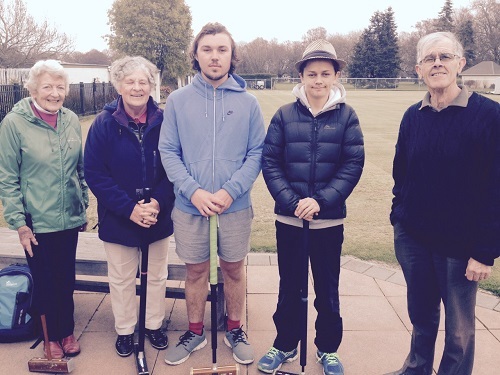 A Golf Croquet doubles competition was held over a few weeks in September 2018 organised by club captain Pam Hurst. The premier division (0-6) had three pairs and was played as a block. Tony O’Donnell and Bruce McLay won their two games to win the event. The intermediate division (7-11) was played as a knockout and was won by Lena Metcalf and Lovena Sparks. The primary division (12-16) was also played as a knockout and was won by Libby and John Dickie. 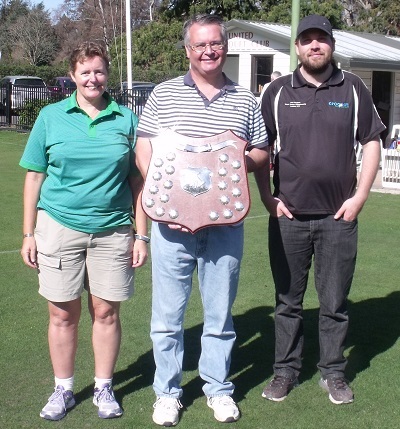 Winners of the Premier division, Bruce McLay and Tony O’Donnell with club president Philippa Porter. Winners of the Intermediate division, Lena Metcalf and Lovena Sparks with club president Philippa Porter. Winner of the Primary division, John Dickie with club president Philippa Porter. Libby Dickie is absent. United’s Spring GC Tournament returned this year as a one-day tournament, involving both open and handicap events and jointly managed by Tony O’Donnell (also playing) and Chris Clarke. Four players contested the open event, played as a double round robin. Jenny Clarke of United won with a 6-0 scoreline and Tony O’Donnell (also United) took second place with three wins. With ten entries, the handicap event was played as two blocks of five, followed by playoffs between equivalent place-getters in each block to decide overall standings. 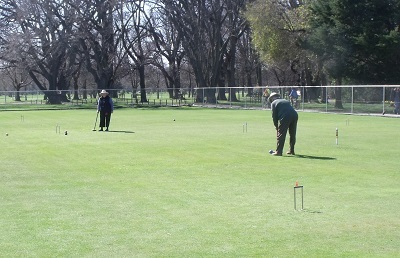 Half of the entries were young players from Cashmere Croquet Club. Both Josh Winter (Cashmere) and Bruce McLay (United) were unbeaten in their respective blocks. In the playoff Josh was untroubled to triumph 7-0 in the playoff for first, with second place going to Bruce. A thank you to Margaret Stoddart Retirement Village for sponsoring the event and the AC Spring Tournament in two weeks. Thanks to Bruce McLay for this report. The World Croquet Federation has approved the fifth edition of the GC Rules. New Zealand will use these rules from the beginning of the 2018-19 season. 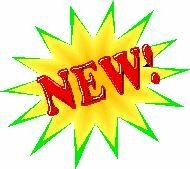 The new rules are in the full yearbook and are also being published as a separate GC Rules booklet. This will be pocket-sized (10.5 x 14.8 cm). The regular AC United Weekend Tournament was held on Saturday 24 and Sunday 25 September, managed by Chris Clarke. As usual, it was run with an open event and a handicap event. The weather on Saturday was cloudy and cool (some might say cold). The start on Sunday was a bit later as clocks were put forward with daylight saving. The day started with drizzle and rain but improved in the afternoon. With eight entries, the handicap was played as two American blocks of 4 with three 2.5-hr games on the Saturday. The top 2 players went into the Gold Play-offs and the bottom 2 players went into the Silver Play-offs. Two 3hr games were played on Sunday. Block A 1st v Block B 2nd. Block A 2nd v Block B 1st. Block A 3rd v Block B 4th and Block A 4th v Block B 3rd. This was followed by winners v winners and losers v losers. The winner was Pam Hurst of United and runner-up Jono Hart. Tony O’Donnell won the Silver Play-offs. The Open Event. with 13 entries, was played as a flexible swiss with 2.75hr time limits. Harps Tahurangi won the event with Jenny Clark of United runner-up. John Yarrall was declare the best non-minus player winning 40% of his games. Saturday 3 September marked the official club start to the summer croquet season. 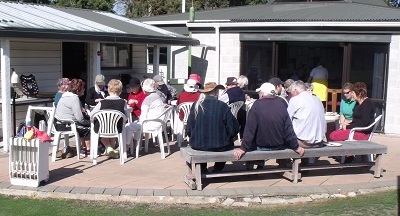 The day started with a BBQ lunch after which the club captain updated us with the season’s competitions. 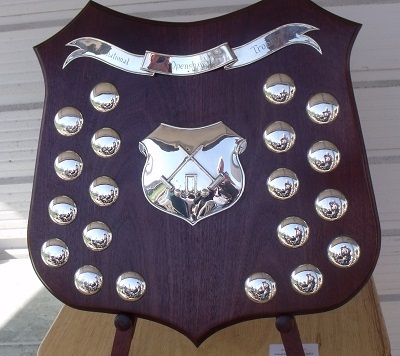 Chris and Jenny Clarke arranged for the shield for the World Teams Golf Croquet Champs to be on display. Chris pointed out that three of the four members of the winning team are United members. 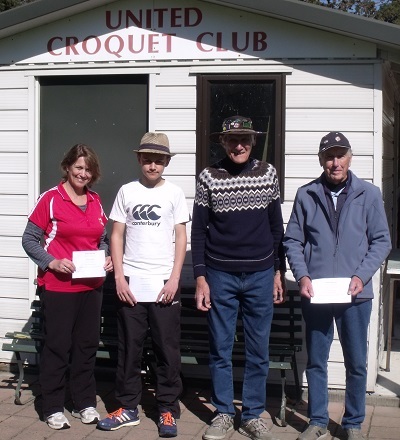 The United September Golf Croquet weekend tournament was held on Saturday 12th and Sunday 13th September 2015. This is the first time we have run a GC event in September. An AC event has been run in September for several years and will be held 26th and 27th September. The weather was kind with no rain and plenty of sun for his time of the year. Six players entered the Open event. It was played as a double round robbin with five 13-point games played each day. 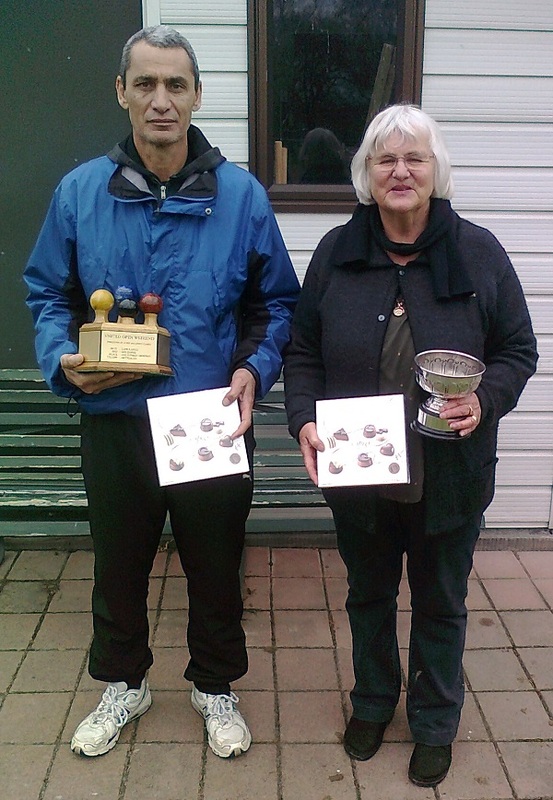 Edmund Fordyce (Waireka, South Canterbury) won all his games to take the event and reduce his handicap to 1. Tony O’Donnell (United) was runner up winning eight games. John Borner (St Martins) took third place. The handicap event had a field of eleven and was played as a round robin with six games on Saturday and five on Sunday and each player having one bye. The winner of the handicap was Connell Leahy (Blenheim), winning 9 of his 10 games. Rosalind Thomson (United) and Lin Cross (Holmes Park) both won seven games. Rosalind had one net point more than Lin to take second place. Full results can be viewed on Croquet Scores.